An online Grimoire filled with references, rants and personal experiences. It’s been a LONG time since I did a Deity of the Day. I’ve been re-reading the Silverwing series by Canadian author Kenneth Oppel. These are targeted at kids, but I’ve loved them since I got them almost ten years ago. There are four books: Silverwing, Sunwing, Firewing, and Darkwing. The first three draw heavily on Mayan and Aztec mythology, including the bat god Cama Zotz. 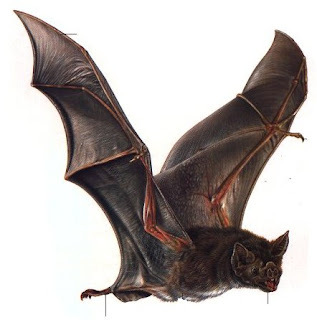 Cama Zotz was a leaf-nosed bat, who rules over darkness, death, and sacrifice. 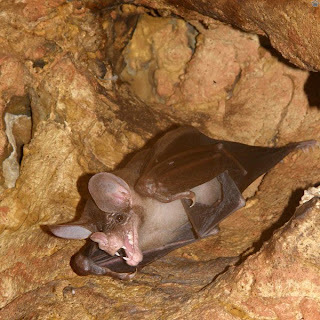 Cama Zotz is said to have a bat kingdom in the underworld. He is the antagonist in the Hero Twin myth. Cama Zots is also known as Camazotz, Sotz and Zotz. - Stephen King’s Datk Tower series. 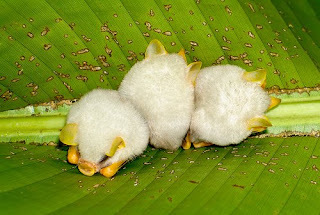 I love bats personally, so I’m going to leave you all with some bat pictures, including the adorable fuzzball s know n as the Honduran white bat. A lot of my information is directly copy-pasted frm my own Book of Shadows, collected over the past couple of years from a variety of sourses. I try to credit where I can, and I try to paraphrase and change words around without changing meanings as much as I can. IF YOU SEE YOUR INFORMATION HERE: Please let me know, I'll be more than happy to credit you. The best way to contact me is to leave a comment on the post, and I'll be sure to edit the post as soon as I get the message. Who balances the scale whereon the heart is placed. Powerful scepter of the divine serpent Wadjet. Bearer of lost testimony in the region of Amentet. Hail, Ibis-head: you who knows all secrets. Uttering the formulas that dissolve all conflicts. All-knowing is your power, great is your word.